Wireless Body Area Networks (WBANs) become very attractive in the research community area and are getting growing interest because of their suitability for medical applications. They are designed such, they can be located on, in or around the patient body and are used to monitor medical signs and forward them to medical servers. Proficient energy and Quality of Service (QoS) are the main requirements for a dependable design in a such networks. In this article, the authors propose a reliable and power efficient routing approach for healthcare systems with the aim to balance the trade-off between the QoS requirements and the energy consumption. Their approach operates in an efficient computation way, where the sink device manages the routing paths avoiding the sensors to be involved in computation and consequently on the energy consumption. They conducted intensive simulations and the obtained results show that Their approach offers effective results in terms of transmission load, response time and energy consumption. With the increasing population around the world, as the elderly people who are more fragile to health diseases require a comprehensive healthcare system. The existing medical resources cannot satisfy future healthcare demands. Indeed, the healthcare resources are limited and it is impossible for most patients to afford long-term hospital stays due to economic restrictions, work, and even though their health status must be monitored in a real-time or short periodic time (Zhang, 2013). Further, the growing cost of healthcare has introduced great challenges for healthcare providers and healthcare industry. As results, there is great interest in using wireless monitoring medical systems to support remote patient monitoring in an unobtrusive, reliable and cost-effective manner, thereby providing personalized sustainable services to the patients. 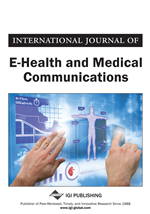 For more details about the research effort in wireless communication standards for healthcare environments, kindly refer to (Rezaei, 2015) (Shanmugasundaram, 2016). In this context, Wireless Body Area Networks (WBANs) supporting healthcare applications are gaining worldwide interest for providing healthcare infrastructure and brings affordable and efficient healthcare solutions to people that would improve their quality of life. In a short time, WBANs represent the most widely emergent technologies that have the potential to significantly improve the e-health sector. WBANs are small networks, which consist of a number of lightweights, miniaturized sensors that could be located on the body as tiny intelligent patches, placed in or around the patient body in close proximity. These intelligent nodes monitor body functions and collect different physiological parameters like heart rate, glucose level, blood oxygen level, etc. (Ntouni, 2014). WBANs enable doctors and other medical staff to monitor continuously the health status of patients, individuals under medical risk, elders and chronically diseases people, people with disabilities, etc. WBANs need to stay connected to other networks by using other technologies in order to ensure that the patients data can reach the centre of treatment, while the subject is in a different place and the sensed data from the WBAN may ultimately be sent to a centralized healthcare repository for permanent records. Figure 1 illustrates the WBAN general architecture in the framework of the healthcare sector. A crucial aspect in such networks is the communication among the sensor nodes to provide highly reliable communications for medical purposes. Routing is one of the challenging areas in WBANs research where developing efficient routing protocols in such networks is a non-trivial task. First of all, this is due to the specific characteristics of WBANs. Secondly, the sensor nodes that form the network can be heterogeneous in terms of energy capacity, which is a major resource constraint to preserve. Furthermore, several medical applications require real-time data access, which presents a further constraint. Any routing approach designed for the healthcare purposes should be energy-efficient, increasing the network lifetime and QoS-aware to ensure reliable data communication. Although a research area is being done toward QoS routing protocols for WBANs taking the QoS requirement into account (Sharma, 2016), there still exist limitations. Few of these protocols consider energy awareness along with the QoS requirements. They consider that each sensor node is in charge to choose the best forwarder based on such parameters of its neighboring nodes, like the current energy state, location, velocity, etc. or based on a target objective function to relay the data packets. This view, being local and hence limited, may reduce the precision quality of the routing path.